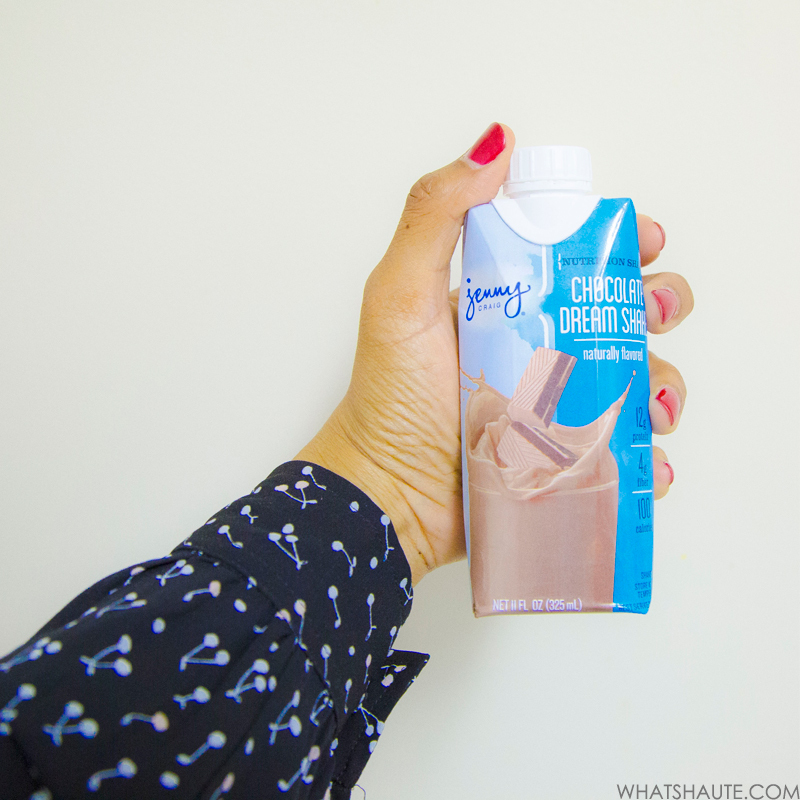 When I started the Jenny Craig program four weeks ago, I didn’t know what to expect. I received a huge cooler box of food and drinks, a meal plan, and a call from my consultant who excitedly walked me through it all! Well, a month has passed and even though I didn’t stick to the plan for the full duration (due to a major life event that sent me of town and threw off my schedule and eating), I’m proud to say I did lose three pounds! * which makes sense, because Jenny Craig members can expect to lose an average of 1-2 pounds per week (which is a healthy weight loss range). Probably because instead of dieting, the Jenny Craig program taught me how to eat properly. It’s all about making better choices: smaller portion sizes, eating/snacking every few hours, and cutting back on sugary drinks. 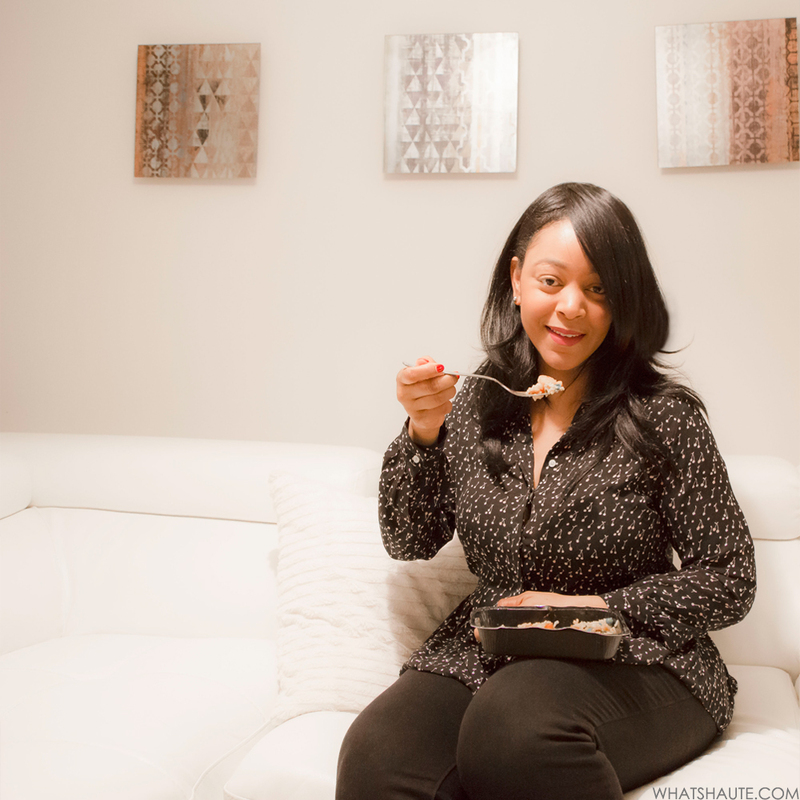 Those are the major takeaways for me, and what helped me lose weight. The program was fairly easy to follow because I had everything I needed! When your meals are already planned out, and there’s no need to buy anything, it’s easy to just grab and go. Like a quick Chocolate Dream shake for breakfast, or a breakfast fritatta. And even though I’m a super picky eater, I was satisfied with all of the options. 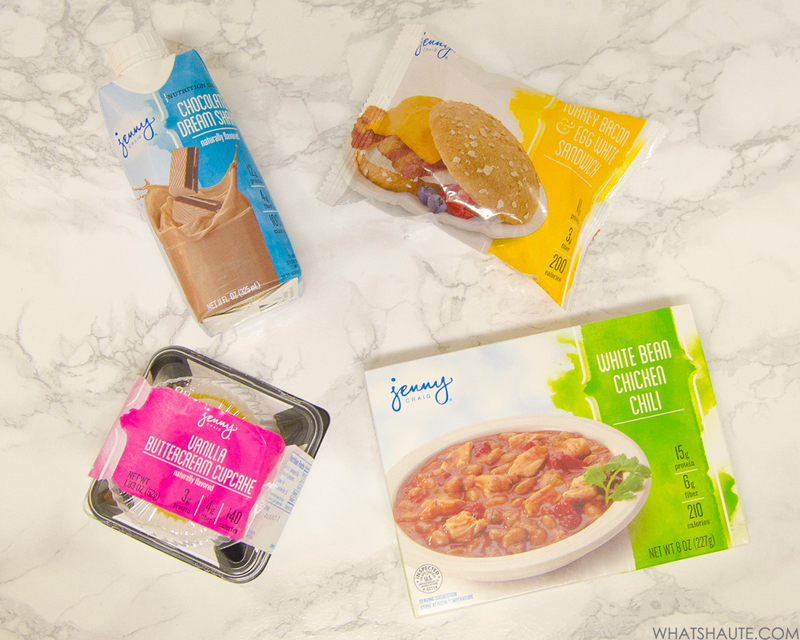 Getting serious about losing weight doesn’t mean you have to give up enjoying the foods you love, and Jenny Craig has more than 100 premium menu items with a ton of irresistible, flavorful foods, created by 40 professional chefs! 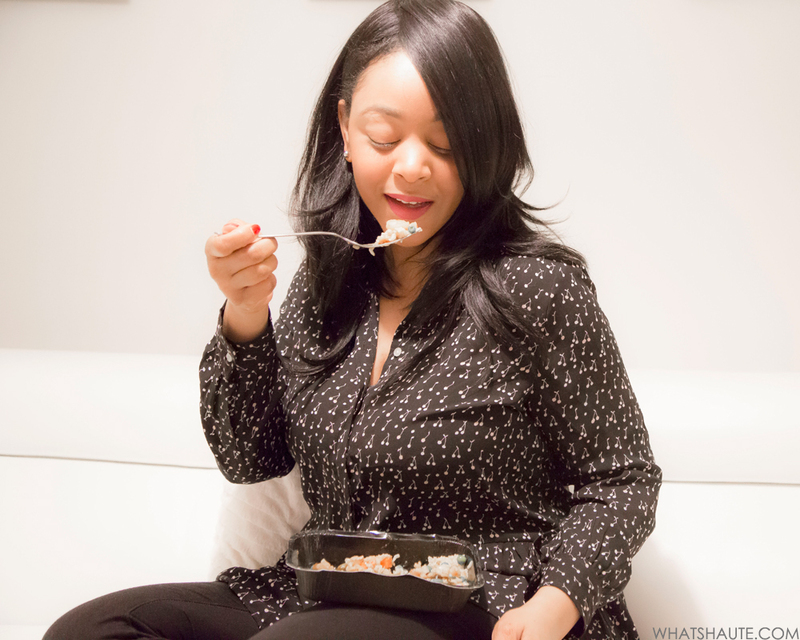 Planning my meals out for the day (snacks included) was easy, and helped me cut back on snacking on all the wrong things, which I am prone to do. The only issue I ran into was sticking with eating more fruits. The meal plan suggested fruits as a midday snack, and I failed to be consistent with that. I’ve always been a fan of eating vegetables with dinner, but for some reason I always find it hard to incorporate fruits into my diet on a regular basis. But I did supplement my dinners with broccoli, spinach of some other veggie. But a healthy lifestyle is all about balance, so I’ve learned not to beat myself up mentally if I ‘fail’ at eating properly one day. Overall, I enjoyed the Jenny Craig program. Like I mentioned before, I was a little hungry at first because I was used to eating much larger portions – that I now realize was too much. Being on the Jenny Craig program has taught me to think before I eat. Now I think twice about what I’m eating, and ask myself: Is it healthy? Will it satisfy me until my next meal? Is the portion size too big? Will it make me feel good for the moment, or make my body feel good in the long run? Eating right isn’t tricky – it’s just a matter of choice. And I’m happy to have tried out this program and will be making better choices when it comes to eating!